and even a swimming pool. But he still only has one boot! 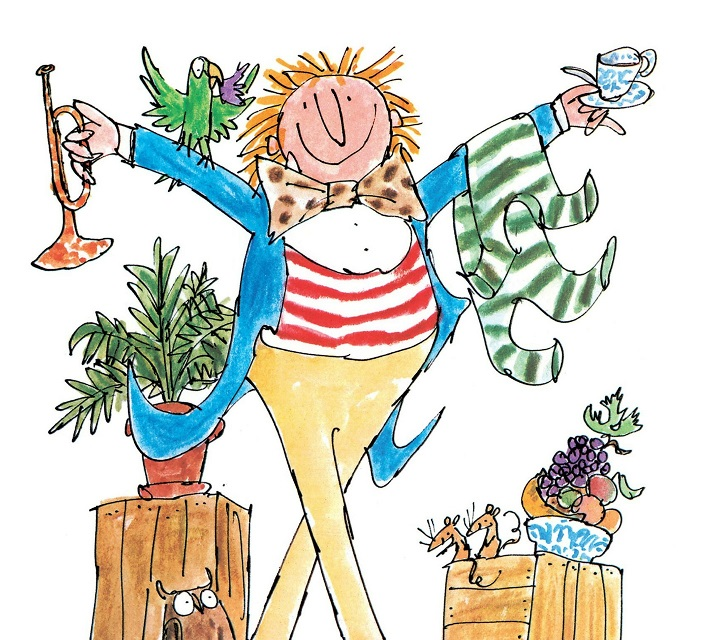 Join Mr Magnolia on his wacky adventures, filled with Folksy Theatre’s bold characters, live music, puppetry and audience interaction. It’s a day out not to be missed! Based on the book by Quentin Blake. There’ll be soft and hot drinks and snacks available on the evening. The National Trust for Scotland for Places of Historic Interest or Natural Beauty is a charity registered in Scotland, Charity Number SC 007410 and depends on support from members' subscriptions, donations and legacies. The National Trust for Scotland Online Shop, Holidays and Cruises are operated by National Trust for Scotland Enterprises Ltd. which is a limited company (Registered Company Number SCO95585) whose registered office address is Hermiston Quay, 5 Cultins Road, Edinburgh, EH11 4DF. National Trust for Scotland Enterprises Ltd. is a wholly owned subsidiary of The National Trust for Scotland (Registered Charity Number SC007410). Site and contents copyright © 2015 the National Trust for Scotland.